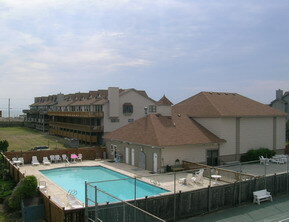 The Sea Dunes Townhouses have everything you need for a great vacation! 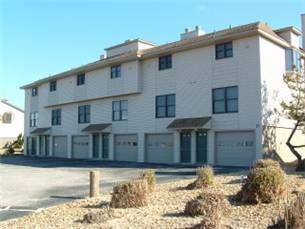 Conveniently located in Kitty Hawk at MP 4, Sea Dunes is just a short walk across the Beach Road to the ocean. There are several popular Outer Banks restaurants nearby including Black Pelican and John’s Drive In. No Outer Banks vacation is complete without one of their homemade milk shakes!! Sea Dunes truly has something for everyone, so bring the whole family on your Kitty Hawk vacation. A lifeguarded beach with bath house is just steps away. The outdoor pool is the perfect place to take a dip on hot summer days. For those who want to relax on vacation, there is a hot tub on site as well as lounge chairs around the pool area. 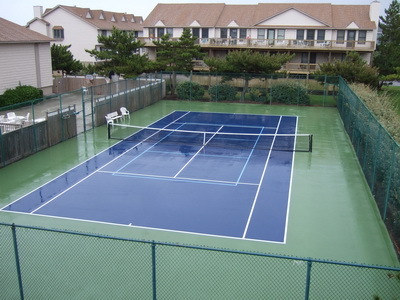 Play a game of tennis or shoot some hoops at the on-site courts. Challenge the family to a game of shuffleboard or racquetball. 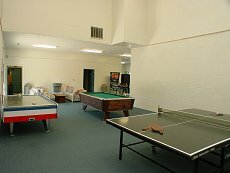 Cool off inside the air-conditioned clubhouse for a game of ping pong, pool, or video games. 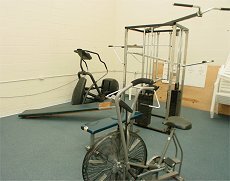 A fitness area is also available with exercise equipment and showers. Wi-Fi Internet Access is available throughout the complex. Sea Dunes Townhomes is a one-stop shop for vacation fun!